Hajia Nnaba eternal rest and comfort all who mourn her. 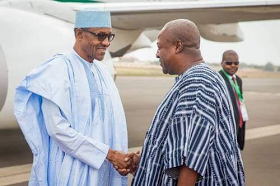 Hey Buddy!, I found this information for you: "President Buhari condoles Ghanaian president on loss of mother". Here is the website link: https://360kwado.com/president-buhari-condoles-ghanaian/. Thank you.